All of the sanctions (economic, diplomatic, and otherwise) against Russia are based on clearly demonstrable, intentional falsehoods; and the sanctions which were announced on August 8th are just the latest example of this consistent, tragic fact — a fact which will be proven here, with links to the evidence, so that anyone who reads here can easily see that all of these sanctions are founded on lies against Russia. 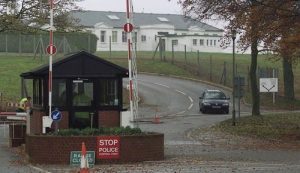 However, despite intense political pressure that the UK Government and ‘news’media had placed upon the UK’s Porton Down intelligence laboratory to assert that the poison had been made in Russia (labs in several countries including the UK have also manufactured it), the Porton Down lab refused to say this. Though the US Government is acting as if Porton Down’s statement “determined that Moscow had used a nerve agent,” the actual fact is that Porton Down still refuses to say any such thing, at all — this allegation is merely a fabrication by the US Government, including its allies, UK’s Government and other Governments and their respective propaganda-media. It’s a bald lie. It does not need me to point out, that if Porton Down had identified the nerve agent as made in Russia, the FCO [Foreign and Commonwealth Office — UK’s foreign ministry] would not have added that paragraph. Plainly they cannot say it was made in Russia. In short, the ruling cited above, even if read in the most improbably forgiving way possible, shows the UK government does not have the information to warrant any of the claims it has so far made about Russian state involvement in the alleged poisoning of the Skripals. It shows the UK government is currently guilty of lying to Parliament, to the British people, and to the world. Nothing has been published further about the Skripal/Novichoks matter since then, except speculation that’s based on the evidence which was discussed in detail in that March 23rdarticle at Off-Guardian. 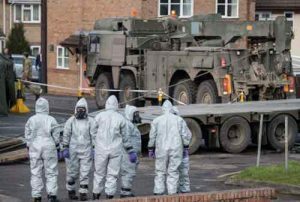 On the basis of this — merely an open case which has never been examined in more detail than that March 23rd analysis did — the Skripal/Novichok case has been treated by the UK Government, and by the US Government, and by governments which are allied with them, and by their news-media, as if it were instead a closed case, in which what was made public constitutes proof that the Skripals had been poisoned by the Russian Government. On that blatantly fraudulent basis, over a hundred diplomats ended up being expelled. The Porton Down lab (pictured) still refuses to say anything that the UK Government can quote as an authority confirming that the Skripals had been poisoned by the Russian Government. All that’s left of the matter, then, is a cold case of official lies asserting that proof has been presented, when in fact only official lies have been presented to the public. 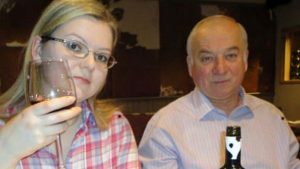 The UK Government prohibits the Skripals from speaking to the press, and refuses to allow them to communicate even with their family-members. It seems that they’re effectively prisoners of the UK Government — the same Government that claims to be protecting them against Russia. US law is supposed to be “innocent until proven guilty” — the opposite of legal systems in which the contrary assumption applies: “guilty until proven innocent.” However, regarding such matters as invading and destroying Iraq in 2003 upon the basis of no authentic evidence; and invading and destroying Libya in 2011 on the basis of no authentic proof of anyone’s guilt; and on the basis of invading and for years trying to destroy Syria on the basis of America’s supporting Al Qaeda in Syria against Syria’s secular government; and on the basis of lying repeatedly against Russia in order to load sanction after sanction upon Russia and to ‘justify’ pouring its missiles and thousands of troops onto and near Russia’s border as if preparing to invade ‘the world’s most aggressive country’ — the US federal Government routinely violates that fundamental supposition of its own legal system (“innocent until proven guilty”) whenever its rulers wish. And yet, it calls itself a ‘democracy’. 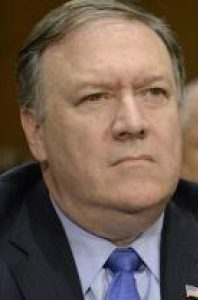 Secretary of State Mike Pompeo’s (pictured) State Department, is not only punishing Russia severely for this unproven allegation, but is now adding yet further penalties against Russia for it. Trump is being demanded by the US Congress to do this, but it is his choice whether to go along with that demand or else expose that it’s based on lies. He likes to accuse his opponents of lying but, quite obviously, the members of Congress who are demanding these hiked rounds of sanctions against Russia are demanding he do what he actually wants to do — which is now clearly demonstrated to be the exact opposite of exposing those lies. If Trump is moving toward World War III on the basis of lies, then the only way he can stop doing it is by exposing those lies. He’s not even trying to do that. Nothing is being said in the State Department’s cryptic announcement on August 8th that sets forth any reasonable demand which the US Government is making to the Russian Government, such that, if the reasonable demand becomes fulfilled by Russia’s Government, then the United States Government and its allies will cease and desist their successive, and successively escalating, rounds of punishment against Russia. Russia is being offered no path to peace, but only the reasonable expectation of escalating lie-based American ‘justifications’ to perpetrate yet more American-and-allied aggressions against Russia. There have been three prior US excuses for applying prior rounds of sanctions against Russia, and all of them have likewise been based upon lies, and varnished with many layers of overstatements. First, in 2012, there was the Magnitsky Act, which was based upon several instances of fraud (subsequently exposed here and here and here) which assert that Sergei Magnitsky was murdered by the Russian Government. The evidence (as linked-to there) is conclusive that he was not; but the US Government and its allies refuse even to consider it. Then, in 2014, Crimea broke away from Ukraine and joined the Russian Federation, and the US and its allies allege that this was because Russia under Putin ‘seized’ Crimea from Ukraine, when in fact America under Obama had, just weeks prior to that Crimean breakaway, seized Ukraine and turned it against Russia and against Crimea and the other parts of Ukraine which had voted overwhelmingly for the democratically elected Ukrainian President whom the Obama regime had just overthrown in a bloody coup that had been in the planning ever since at least 2011 inside the Obama Administration. Several rounds of US-and-allied economic sanctions were imposed against Russia for that — for the constant string of lies against Russia, and of constant cover-ups of “the most blatant coup in history,” which had preceded and caused the breakaway. These lies originated with Obama; and Trump accuses Obama of lying, but not on this, where Obama really did lie, psychopathically. Instead, Trump makes those lies bipartisan. 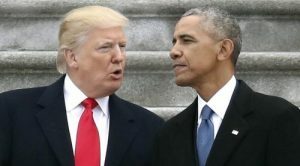 On what counts the most against Obama, Trump seconds the Obama-lies, instead of exposing them. And yet Trump routinely has accused Obama as having lied, even on matters where it’s actually Trump who has been lying about Obama. 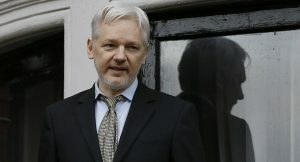 founder Julian Assange says that what he had published were leaks from the DNC and Podesta’s computer, not hacks at all; and yet the sanctions were imposed almost as soon as the Democratic Party’s accusations started. Those sanctions, too, are utterly baseless except as being alleged responses to unproven (and likely false) allegations. Furthermore, even in the worst-case scenario: the US Government itself routinely overthrows foreign governments, and continues tapping the phones and electronic communications of foreign governments, and manipulating elections abroad. Even in the worst-case scenario, Russia hasn’t done anything that historians haven’t already proven that the US Government itself routinely does. That’s the case even if Russia is guilty as charged, on all of the U.S-and-allied accusations. So: Who wants World War III? Apparently, both the Democratic and the Republican Parties do. Obama called Russia the world’s most aggressive nation. Trump joins with him in that bipartisan lie. 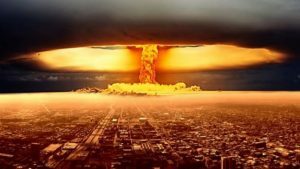 Outside of America itself, most of the world consider the United States to be actually the “greatest threat to peace in the world today.” Therefore, why isn’t the NATO alliance against America? The NATO alliance is America and most of its vassal-nations: they’re all allied against Russia. Their war against Russia never stopped. That ‘Cold War’ continued, even after the USSR and its communism and its Warsaw Pact mirror-image to NATO, all ended in 1991; and now the intensifying ‘cold war’ threatens to become very hot. All based on lies. But that seems to be the only type of ‘justifications’ the US-and-allied tyrants have got. all. This is how we could all end. Doing something heroic that would stop it seems to be way beyond him — he doesn’t even try. That’s the type of cowardice which should be feared, and despised, the most of all. Trump has taken up Obama’s worst, and he runs with it. Trump had promised the opposite during his Presidential campaign. But this is the reality of Trump — a profoundly filthy liar — at least insofar as he has, thus far, shown himself to be. What he will be in the future is all that remains in question. But this is what he has been, up till now.